healthy eating | Melissa E. Rinck, D.D.S. –Instead of the incessant snacking on all of the empty calories, head over to the veggie tray! A variety of veggies can do wonders for you! 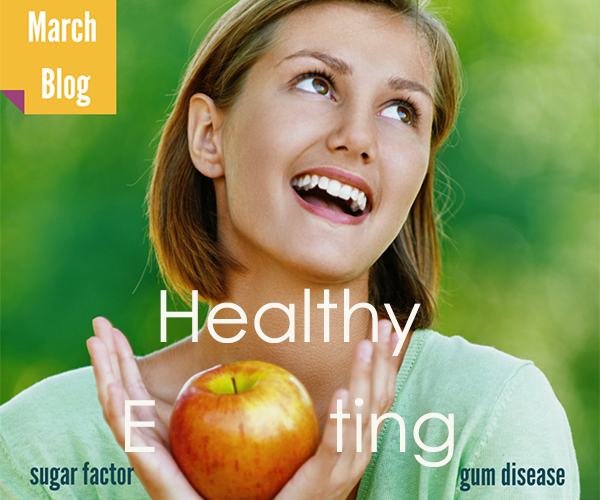 Not only for your oral health, but also for your health in general. Reaching for a nice healthy snack is a great decision! –When you are loading up your plate with all those delicious foods, try and plan out your plate. Be mindful of the items you are scooping on as well as how much of what, you are dishing. Instead of piling on mashed potatoes, rolls, stuffing and marshmallow covered yams, try this combination instead; A bigger scoop of green beans, some turkey, yams (minus the marshmallow), a smaller portion of the potatoes (minus that extra butter) and a little fruit salad on the side without the whipped topping. Your plate will be well balanced with more appropriate portions and without all of the sticky, bad-for-your-teeth toppings. –Thanksgiving desserts are a must for most! After you have yourself a small slice, if you are able to excuse yourself and go rinse your mouth and (if at all possible) brush and floss your teeth, you will be well on your way to a happier and healthier smile! If you brush those teeth and gums after eating the sweets and dinner, they are not able to sit on your teeth allowing time for bacteria build-up and all that comes along with the damaging sugar ingredients that cause harm. Remember how great your mouth feels after a dental cleaning in our office? Now that the holidays have come to a close, your teeth may be in need of a professional cleaning. Call us for a dental check-up and cleaning. Check-ups are recommended every 6 months unless you are experiencing a problem area in your mouth. And, if that is the case, call us as soon as possible. Whenever you are in pain or have a question, call us.